Multiple scenes of Sherman County, Kansas. In the photogrpah of the Equity Store, pictured left to right are: C.W. Jupe, Luther Douglass, Ralph Curry, and W.T. Hall. 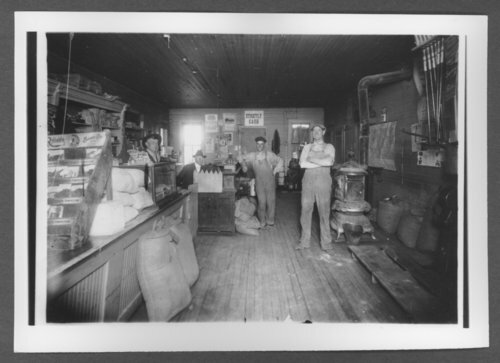 Scenes of Sherman County, Kansas - Equity Store on the southeast corner of 11th and Main, Goodland, Kansas.